Would you like to travel China while staying at Chinese homes? Would you like to travel China while staying at Chinese homes? 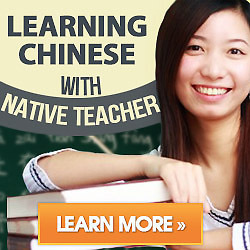 Do you want to rapidly improve your Chinese by putting yourself into a real native environment? Eastwestbridge can provide you with a program tailored to fit your needs: homestay service, combined with a self-arranged trip, and/or Chinese language and culture lessons. This program offers you the opportunity to make your stay in China more pleasant, to study Chinese more efficiently, and more directly and deeply understand Chinese culture. You plan your own time schedule, with trips to your favorite scenic spots, etc. We can help you plan your trip and make your stay in China more memorable. 1. A native environment in which to better learn the Chinese language and culture. 2. A customized teaching program that takes into account your Chinese proficiency level and your specific needs and uses for the language, resulting in rapid improvement of your speaking, reading, and writing skills..
3. The chance to meet new friends in a Chinese family. 4. An opportunity to re-understanding of Chinese food and practice your own cooking skills. 5. A traveling program arranged completely according to your own interests and requirements. 1. Chinese Spring Festival (Chinese New Year): to experience the biggest and most colorful Chinese festival. 2. Summer vacation (or holidays): a longer time duration, more choices available. 3. Easter vacation: in spring time, one can best enjoy the beautiful scenery of Jiangnan (a vast area around Shanghai). 4. Christmas holidays: to experience how the Chinese celebrate this western holiday. Interested? Get detailed information and photos of our Host Family after your application. Please first fill in our Booking Form and send it back to us by e-mail:kenny@homestayglobal.com . We will reply back as soon as we can. Thank you. China Travel : The most reliable and professional tour operator in China since 1980. We enable you wonderful China Travel experiences, and provide you with full range China Travel service. Beijing Travel:My Beijing China offers Beijing travel information including Beijing tours,Beijing travel tips, Beijing hotels, Beijing attractions.